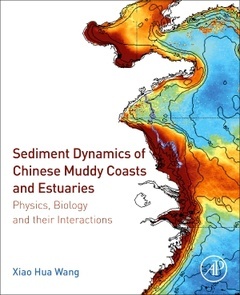 Sediment Dynamics of Chinese Muddy Coasts and Estuaries: Physics, Biology and their Interactions provides a forum for the latest research addressing the physics, sedimentary processes, biology, chemistry and ecological processes associated with these rapidly changing estuarine and coastal environments. It will explore the challenges and opportunities for future research in China?s estuaries and coastal waters around the world, and uses China as a case study to provide answers to the causes of and possible solutions to these problems, presenting methodologies on working with observation and modelling analysis. China?s coastal zone is facing many urgent issues in the environmental degradation and sustainable use of its marine resources. Sediment Dynamics of Chinese Muddy Coasts and Estuaries reviews and synthesizes papers from the international research communities including those from China to exemplify and document their scientific approaches to manage and recover coastal ecological functions. Dr. Xiao Hua Wang is the Founding Director of the Sino-Australian Research Centre for Coastal Management, UNSW Australia, and an associate editor for Estuarine, Coastal and Shelf Science. Much of Dr Wang’s research is based on field study and numerical modelling and this has included observing and modelling water circulation and sediment transport in estuaries, harbours and shelf seas. In recent years his work has been involved in understanding and quantifying the changes in hydrodynamics and water quality of coastal environments in response to increased anthropogenic forcing and climate change. He has over 70 publications including peer-reviewed journal papers, book chapters, international conference abstracts and government/technical reports. His work has been funded by a variety sources including the Australia Research Council, the EU Framework, and US Office of Naval Research.